Difference between Bullet, Domes or Turrets for CCTV? There are a massive selection of camera designs out there to choose from. As a home or business owner looking to start a DIY surveillance system project, the three basic designs you will likely be looking at are bullets, domes, and turrets. So what are they exactly, and what differentiates them? Firstly they all all have same / similar internal components, so the difference is basically physical. Bullet cameras look more like a guns than they do bullets. Bullet cameras stick out / stand out. This is the camera to choose if you want something that is easy to install and stands out. The downsides for this camera is that it looks less aesthetically pleasing something important in residential homes. Also, if the camera is reachable, it can be hit and the camera could be facing a wall. Similar to dome cameras, but don’t have a cover on them. They are probably one of the most popular camera choices as they are seen as an inbetweener of the dome and the bullet. You may not be able to tell, but its basically a ball in a socket, so it has a full range of motion. It is thus slightly easier to install than a dome. less susceptible to dirt stains than dome. How to setup / install my new Hikvision system? This FAQ deals with one of our most common questions. Turn on the NVR / Monitor – you should see a setup screen. Ensure you write down the username / password you choose. Its a pain in the bum to reset. After setup, you should see your cameras on the screen! To set up remote viewing, https://www.securitywholesalers.com.au/faq-items/can-use-hik-connect-set-remote-viewing/ (this is a useful video https://www.youtube.com/watch?v=sNtB7Cjm7HY) If you get stuck at this step, please consult an IT professional as it could be your modem or other issue. Our other FAQ articles are good for troubleshooting https://www.securitywholesalers.com.au/faq-items/ or you can try Googling / Youtubing the problem. If you still can’t resolve your issue, please email us – support@securitywholesalers.com.au. Please be as detailed as possible regarding the issue. How can I use Hik Connect to set up remote viewing? 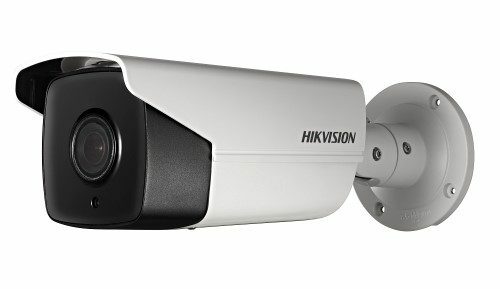 Do you sell genuine Hikvision Cameras and NVRs? Yes, all our products come from Australian distributors of Hikvision. We ourselves are a Platinum Hikvision Partner. Purchasing through authorised Hikvision Australia Partner ensures that you receive the benefits of our email technical support in addition to Hikvision Australia’s full warranty. How to Reset Password on Hikvision Camera / NVR? How to reset passwords on either an NVR or IP Camera? > email us the XML file and Serial Number (*Full serial number on SADP) to us. How do I get Firmware Updates for my Hikvision Gear? Hikvision Australia’s website has firmware updates for available IP cameras. NOTE this is only for IPC. You will need to contact us if you can’t find your camera listed or if you require firmware for your NVR / DVR. You will need to also provide the full serial number of the device as well as your current firmware. This is to ensure upgrades are done properly. In some instances middlle firmware is required before upgrading to the latest version. We do not recommend doing intercom firmware upgrades. Please check with us if there is any doubt. What is the Difference Between Hikvision & Dahua? Which one is better? Still concerned about what to choose? Hikvision and Dahua are two of the most popular IP camera brands. Hikvision is the world leader in IP cameras with a global market share of 17% forecast in 2017, Dahua comes in second with a forecast of 5.5%. Both systems are very easy to install, especially PoE solutions which almost plug and play. Both cameras able to support ONVIF and RTSP protocol, these are two most important features for IP camera. ONVIF ensures that your camera will work with standards-compliant equipment from 3rd party manufacturers. RTSP allows even non-ONVIF equipment (such as software) to access the security camera’s video stream. We would highly recommend choosing the same branded NVR to suit the cameras though. There are different versions on ONVIF, so there may be compatibility issues between the two. More Dahua cameras feature sound recording vs the Hikvision ones – so if this is important to you, investigate the Dahua Eyeball cameras with inbuilt mics. The CCTV Cameras, IP cameras, DVR, NVR, etc offered by Hikvision and Dahua are very close in price. As close competitors, Hikvision and Dahua have large variations of the products. Both brands offer really competitive prices compared with other established brands nonetheless. How do I Setup Push Notifications on Hik Connect App? Note – to use this effectively you’ll likely need to change sensitivities and block certain regions from triggering the alarm on the NVR. How do I choose a Camera lens? The most popular lens selections by far are 2.8mm and 4mm. These give the widest angle of view. The below image gives an indication of the angle of view of each lens. 2.8mm gives around 90 degrees viewing angle. 4mm on average gives around 75 degrees viewing angle. Field of view (FOV) is a measure of how large an area a CCTV camera is capable of viewing. The FOV is based on the camera and lens. records the information on the local hard disc which resides within the video recorder. Typical connection diagram of an Analog / TVI system. With a digital system, cabling will be CAT5/6 and usually no power supply to the cameras is required. We are an Authorised Hikvision Partner. All your gear comes locally from Australia – the same place authorised Hikvision installers and integrators get their gear from, thus you will be able to benefit from 3 years warranty. The same thing applies to our Dahua equipment too. How far can the cameras see at night? The better the lighting around the area, the more your cameras will get to see. Our cameras come with market leading IR – so yes they have very good night vision. Where can I buy precut / precrimped CAT6 cable? What is the Difference between Hikvision bought from you and bought from eBay? Hikvision has released a press release regarding the products that are sold by companies who are not authorised by Hikvision, and these Hikvision products are imported from overseas without any quality assurance done to comply with the Australian standards. These products are known as “grey market” products. Products from these unauthorised channels can be counterfeit, used, modified, or damaged. On top of that, these “grey market” products have been altered in different ways to make the products function in the Australia region. Therefore, the products are no longer in the original factory condition, and the official Hikvision warranty is void. Aside from that, products purchased through unauthorised channels can have different firmware versions in the products and will not support future firmware upgrades without further tampering of the products. You will not be able to upgrade to the latest English-language firmware, and if you perform a factory default, you risk changing the interface of the products to the Mandarin language. After this is done, you are unable to revert the language settings back to English. With such a small price difference between buying Hikvision products from official distributors and buying “grey market” products from unauthorised distributors, we highly recommend making sure you are getting the genuine products to save your time and resources in the long-term. If you suspect you are being sold “grey market” products, please contact Hikvision’s Tech Support hotline at 1300 976 305. They will be able to verify the product’s distributor through the serial number of the product. Which NVR will work with my cameras? NVR’s are the brains of the security system. It all comes down to how many cameras you have and which brand you choose. We tend to stick to the same same camera and NVR combo. Hikvision with Hikvision and Dahua with Dahua. And the more cameras you have the more channels your NVR will need! Up to 4 cameras goes with 4 channel NVRs, up to 8 cameras goes with 8 channel NVRs. Most of our NVRs come with 3/4TB hard drives so that’s one less worry to think about! If I’m not a tradie or in the industry – Can I still buy your products? Yes we sell directly to everyone, the good stuff shouldn’t be only for the professionals, though we do recommend installation be done by a professional. Its likely that your modem is blocking some of your required ports. Below is a list of ports required to be open. 80 HTTP access – only allow if you plan on accessing the recorder through a web browser. 8000 – Server Port – required to be opened for all types of remote connections to a Hikvision device. Without this you cannot connect to the machine at all. 554 – RTSP Port – required to be opened for all types of remote connections to a Hikvision device. Without this you can not view streams. 9020 – Hik-Connect port – Required is using Hik-connect accounts. How to Download Hikvision Video Files Through Browser? Instructions as to how to extract Hikvision video files using the browser. Please kindly read the below FAQ to find out how to configure / set up event recording with the storage server on IVMS4200. The below FAQ explains how to configure the motion detection alarm via Hikvision IVMS4200. This is useful if you’d like to know when an event occurs on one of your cameras. This Video shows you how to upgrade your Camera firmware from the NVR. What Apps Can I use for Hikvision Cameras? What is Hikvision SADP Tool? Where can I download? SADP stands for search active device protocol, it’s Hikvision’s free and simple utility for searching Hikvision products (including IP cameras and DVRs/NVRs) in the local network. You will likely need WINRAR to extract the file. Below is a great article which delves into the SADP tool in greater detail. Your hikvision camera could potentially send you notifications when faces are detected. A common question relating to blurry images relates to vandalproof domes – night time images can appear blurry or foggy due to dirty/greasy dome bubble, reflection from nearby objects or loose foam ring around the camera lens. Should I choose 6mp or 8mp? The choice here is whether you should choose a clearer resolution or a slightly less clearer resolution. The higher the resolution, the clearer the image and thus potentially more useful to identify unsavoury activities. With better compression technology these days, the impact on storage of the clearer 4K cameras should have very little impact on the recorded footage. Here is a video which compares the resolutions on a number plate. Although 6MP doesnt exist as a test, just imagine it as being halfway between a 4MP and an 8MP clarity. This is a tech note providing guidance for setting up Hikvision IP Intercoms. This tech guide from Hikvision helps you configure a Hikvision apartment intercom system. Can you add Hikvision CCTV cameras to a Hikvision Intercom monitor? Hikvision CCTV cameras can be added to an indoor station thus allowing remote viewing directly from the indoor station for added security. A typical Hikvision room station can have up to 16 cameras viewable. How can I Connect an IP Intercom door station to NVR? These tech notes should assist you with this requirement. Can I communicate between Hikvision intercom monitors? In an Intercom system with 2 or more indoor stations, each station can dial or call between each other by using the following dialing format. How do you connect an IP Intercom to a strike? Please refer to page 8 of the user manual. FX Fees from buying from Paypal? Did you just get charged Foreign exchange / Foreign Transaction fees for buying from Paypal? PayPal Australia Pty Ltd is an Australian based entity with a ABN & ACN number, NOT an overseas entity. Paypal’s processing requirement is that it’s all done locally to comply with APRA regulations as well as ensure there’s minimal processing latency for a transaction to be approved quickly. The bank is likely trying to scam you out of some F/X fees on his card. You can take the matter to Consumer Affairs as, legally, you have an Australian PayPal Consumer account with a local Bank / credit card used as a funding source & SHOULD NOT be charged f/X fees. What’s the best way to get aftersales support for stuff I bought from you? Sometimes problems happen. We get it. For security cameras we want to get it up and running ASAP! Our team at support are always on the look out to help you out! Include your order number, pictures of issues, and detail what has gone wrong and our team will patch it up. Please be as descriptive as possible. Provided items are in stock, orders placed before 8am Sydney time each business day are packed and sent the same day. We use the most efficient postage possible which is next business day delivery within the express post network (Australian capital cities and major metro areas- Perth CBD only). Regional areas outside the express post network may be 2-5 days. Do You Offer a Price Match Policy? Simply provide a Live Chat team member proof of the competitor’s current advertisement or website address, showing the offer’s end date and any terms and conditions. A Live Chat team member may check the website to verify the lower price and availability of the product. Once your price match request is verified, we will create an offer for you to purchase the product from us at the lower price. Products shipped from or sold by third-party sellers on marketplace, auction or classifieds websites. How Can I get Remote Assistance with my system? Are you having trouble activating your cameras? 6. DOWNLOAD https://www.teamviewer.com/ and provide us the login / password. NOTE – you must leave teamviewer on. We will then be able to log in to help you with your issues.